There are a lot of medical malpractice cases that happen every year in the United States. Medical malpractice refers to the negligence of the hospital and its staff, whose bad judgment and actions led to the emotional, physical and monetary damage to a person in their care. Hospital staff refers to nurses, physicians and all other healthcare providers working in the hospital. If you’ve been the victim of medical malpractice, you should contact a personal injury lawyer from Frederick, MD. 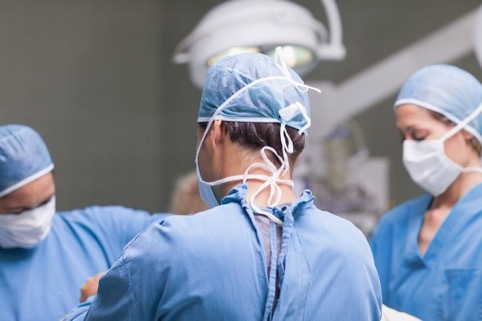 In this article you will find more about medical malpractice negligence elements in Frederick, MD, to help you understand more about your case and what you can do next. You can first discuss your case with a Frederick injury lawyer. The malpractice claim is valid if there is any deviation from the standard care you should have received at the hospital. All deviations will be noted in a signed affidavit given by the expert your Frederick injury attorney recommended. Based on this, you may be able to receive medical malpractice compensation. All the proof must be proven by the plaintiff. If any of these elements is not proven, then your malpractice case will not go forward. That is why you have a greater chance of winning if you get the advice of a Frederick injury lawyer. This refers to the obligation of care (for doctors/nurses/surgeons/physicians/etc.) that must be provided to the patient. In general, a person has zero obligations to assist an injured person if there is no special relationship (doctor-patient, attorney-client, etc.). But if one a doctor decides on his own to come to your aid and assist you, they are liable for all injuries resulted from their negligence. This negligence element happens when a medical professional fails to provide a patient a safe environment. A good example is an omission to put the bed down. The existence of direct cause and effect is required to win a malpractice claim and must be proven by your personal injury attorney from Frederick, MD. In general, this is the most difficult to prove. If a patient falls out of bed and breaks something, then they suffer damage. This is considered inadequate patient care, but not all events satisfy the damages element, making the malpractice claim invalid. You can consult with your Frederick injury attorney and determine if your case meets all the four elements needed for a malpractice claim. If they it does, you can file your medical malpractice claim and receive the compensation you need and deserve. For more information about medical malpractice contact the best personal injury lawyer in Frederick, MD, at (443) 569-3950 or at the email [email protected]. You will get a free consultation of your case.